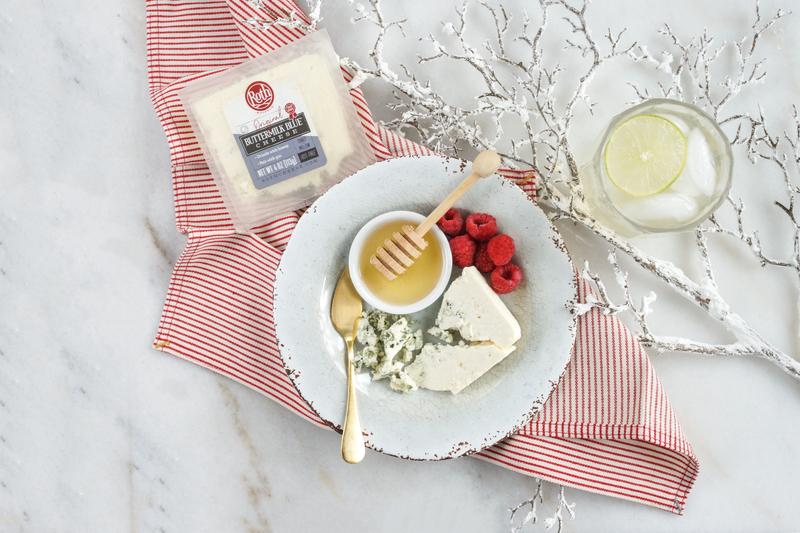 Make holiday entertaining easy with these four seasonal cheese + cocktail pairings. World Champion Grand Cru® Surchoix is cellar-aged for more than 9 months to develop a deep, complex flavor. 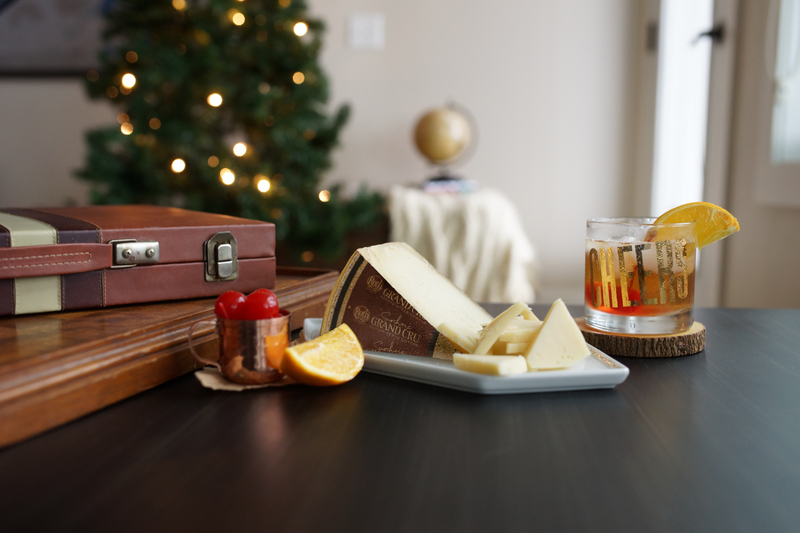 It’s like it’s made to stand up to Wisconsin’s favorite holiday cocktail – the traditional Wisconsin-style Brandy Old Fashioned. The hints of cherry and orange in this cocktail bring out the full-bodied nuttiness of the cheese – a match made in Wisconsin. American-Original GranQueso® is hand-rubbed with a rich spice blend of cinnamon and paprika for a sweet, nutty brown butter flavor. 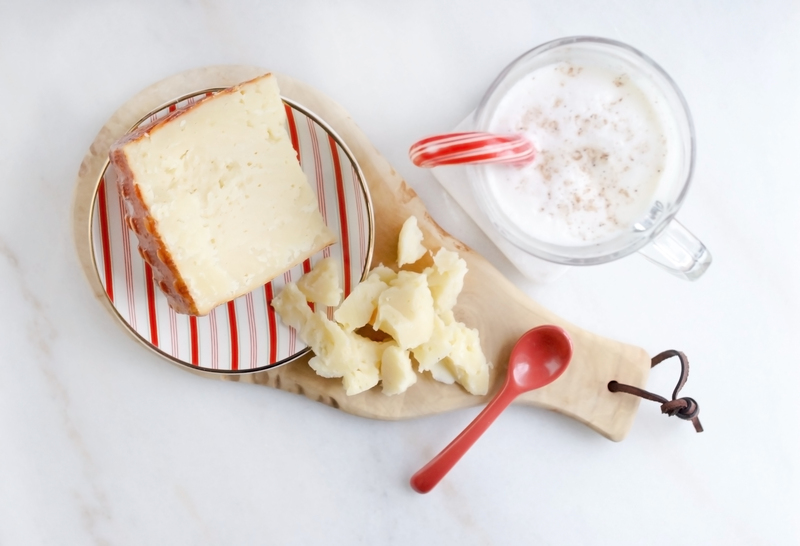 The milky cinnamon flavor of homemade Eggnog brings out this unique cheeses’ sweet flavors. New to homemade Eggnog? Here’s our favorite recipe. Buttermilk Blue® is crafted with raw milk from Jersey and Holstein cows and cellar-aged for 2+ months for the creamiest taste and texture you can find. This earthy, tangy blue is mellow enough to love, yet bold enough to stand up to your favorite gin. The pairing is simple, yet sophisticated, and always amazing. Find Buttermilk Blue near you. There are a million reasons to buy Siracha Gouda, but our favorite is to pair with tequila. The spicy kick of Sriracha is balanced by the coolness of the lime in your favorite margarita. 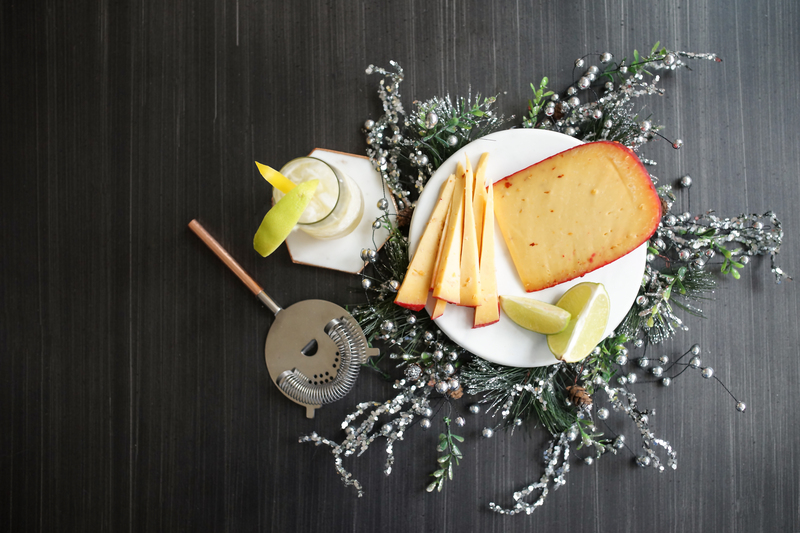 This trendy holiday version also has muddled yellow bell pepper for added coolness and sweet flavor notes to balance the hot kick of the cheese.